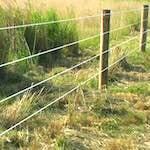 Poly coat fencing is specifically designed for horses and engineered for maximum visibility. This fence is primarily the same as a high tensile fence except that poly fencing has a coating of white poly covering the high tensile wire to give it more visibility. Poly wire also has the ability to carry electricity. 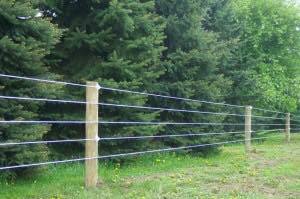 This fence is ideal in that it provides high visibility for your horses to see and charging these wires will keep your horses from constantly pushing against the fence and damaging it, keeping the wear on the fence to a minimum. Perfect electric horse fence solution. 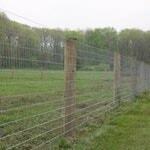 Due to the extra strain that poly wire places on a fence it requires single bracing. 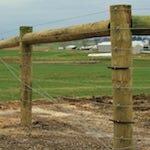 We install a horse safe brace wire so that your animal feet do not get caught in this wire. 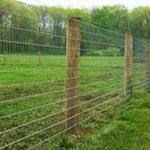 A fence is only as good as the workmanship that goes into the fence installation. 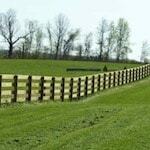 It would be hard to find a more professional team of poly coat fence installers anywhere in the Eastern USA. 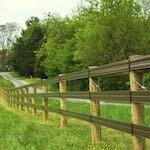 ProFence has the quality materials and installation know how to get the job done right.